In February 2017 Dutch soprano Annemarie Kremer had a huge success with her Wagner debut as Elisabeth Tannhäuser at the Opéra de Monte Carlo-Monaco. The Premiere was broadcasted live on television in Europe. Annemarie Kremer is noted for her exciting portrayals of some of opera’s most complex leading ladies and has a strong association with the repertoire of Richard Strauss including Salome and Die Feldmarschallin - Der Rosenkavalier. Recently she sang Die Feldmarschallin in Beijng, Ursula in Mathis der Maler-Hindemith at the Semperoper in Dresden and the title role of Korngolds Das Wunder der Heliane in Vienna and Freiburg. In spring 2018 a CD of Das Wunder der Heliane will be released by NAXOS, live recorded at the concerts in Freiburg in July 2017. Among her future projects in 2017-2018 are a.o. two new productions of Salome in Hannover and Essen, Tosca in Leipzig and later Tosca in Graz as well as many concerts. Annemarie sang her first Salome - now one of her core and celebrated roles - in Vienna VO in 2011 and was hailed by the press for her triumphant successful debut. To then be invited as Salome in Moscow, São Paulo and Bélèm in Brasil, Hong Kong Opera and Naples - Italy. In 2012 she had a huge success giving her UK debut as Norma at Opera North. For her fascinating interpretation of the high priestess in this TMA awarded production she was nominated as “singer of the year” 2012 by German opera magazine Opernwelt, and she was nominated for the international Opera Oscars. In the same production she gave 2014 her successful Germany debut in this role in Chemnitz. Blessed with an extraordinary versatility and vocal range, she performs a broad spectrum of repertoire: highlights of recent seasons include Madama Butterfly, Luisa Miller and Tosca in Stuttgart, Manon Lescaut and Tosca in Leipzig, Agrippina in Frankfurt, Maddalena -Andrea Chenier and Vitellia -La Clemens di Tito at Opera North UK, Madama Butterfly and Tosca in Dortmund, Tosca in Wiesbaden, Vitellia in Stockholm, Norma in Amsterdam, Madama Butterfly and Rosalinde- Die Fledermaus in Essen, Rusalka, Donna Elvira- Don Giovanni at Opera Zuid and Donna Anna- Don Giovanni and Contessa- Figaro’s Hochzeit in Paris and in Zagreb. At the GM-Opera Festival in the USA she was invited to give her American debut as Madama Butterfly. 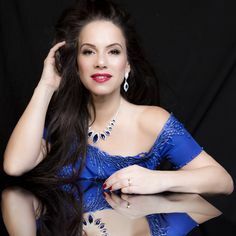 In 2012 Annemarie Kremer was invited to sing for the Queen of the Netherlands where she was highly celebrated, the event was broadcasted live on tv. In her home country she sang often at the Amsterdam Concertgebouw, Opera and concert repertoire from composers like Ligeti, Verdi, Martin, Händel, Beethoven, Mozart, Schulhoff, ua Don Giovanni, I Lombardi, Le Grand Macabre, Die Fledermaus, Flammen, Die Lustige Witwe und Agrippina. Annemarie Kremer has recorded several CDs; arias and masses by Mozart, works by Mendelssohn and Beethoven Symphony No. 9; Her Agrippina is available on DVD. Penderecki’s Requiem in a BBC documentary. Das Wunder der Heliane by NAXOS in spring 2018.